Me and Money: The Psychology of Wealth is a book that will change the way you look at your relationship with money. 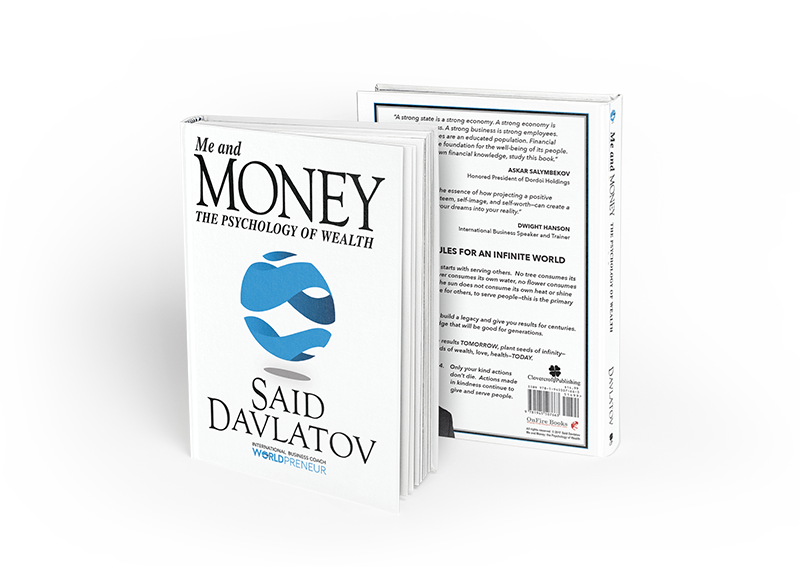 Dr. Said Davlatov breaks down the relationship that we have with money and creates a simple, easy to follow process for changing your life and creating wealth. Financial security is something that we all strive for. Poverty and wealth are mindsets. If you do not apply yourself or have the right mindset, nothing in your life will change. You don’t have to have money or be a genius to become wealthy. As you read this book, you will learn to change your mindset. That change will accelerate your success and teach you to avoid the mistakes that prevent prosperity. Dr. Said Davlatov is an international author, trainer, entrepreneur, and business leader who has sold millions of copies of his books and continues to aspire to change the world with his principles.